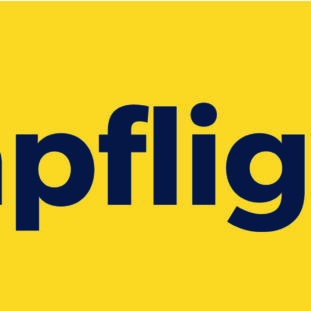 CheapFlights.com, as one could have guessed, is an online search and booking site helping users find the best, cheap deals for flights, hotels, and car rental. The site runs frequent special offers, a free newsletter to keep up with hot deals, and travel tips & news. Since 2003, the booking site has grown to attract more than 120 million visitors each year. The platform connects thousands of travel partners to provide the best, flexible deals in the industry. The Cheapflights.com affiliate program pays 65-75% commissions. The program, offered through Webgains and Commission Junction, includes an extensive set of tools and resources. This includes white label opportunities or widgets for users to conduct flight search within your site. And, banners to drive leads to the search or deep links to specific offers. Cheapflights has some of the best offers in its industry – with a name like that? You can see why so many visit the site. The program pays for flight, hotels, and car rental bookings. The program also offers an app leveraging a CPI payment over valid installs. The CheapFlights offers and promotions are unbeatable in its industry. Pointing people to their site or through the CheapFlights app creates a massive money-making opportunity with its generous affiliate commission structure and flexibility. The only thing we don’t like about the program is the threshold to increase commission rates – 1mil+ visitors a month isn’t looking too average for your typical affiliate. But, even still you’ll earn hefty commissions whether it’s flight, hotel, or car rental bookings. In all, the CheapFlights affiliate program is a perfect pairing for your efforts. The biggest opportunity would have to be its app. So, experiment with its promotions alongside others, see which is best, and choose a champion when monetizing your travel site.